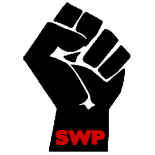 SWP Public Meeting “Fight racism, fight UKIP, fight to end austerity” on Wednesday 4th June at 7pm, Adult Education Centre, Wellington Street, Leicester. 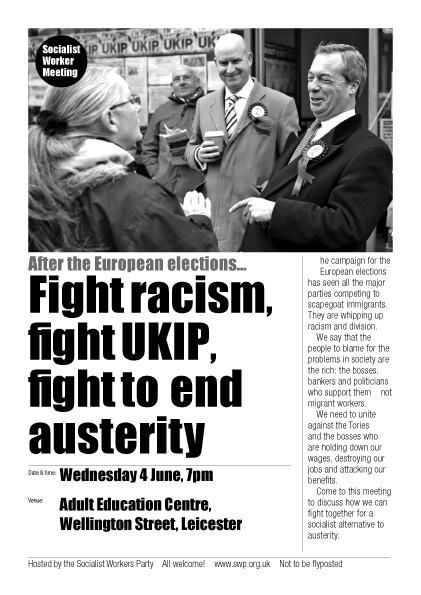 Leading SWP member Amy Leather will be speaking on how we can organise to stop UKIP in the aftermath of the European elections. Come along and join the debate. This entry was posted on May 19, 2014 by leicestersocialistworkersparty in Anti-racism, Socialism, UKIP and tagged anti-racism, austerity, euro-elections, socialism, ukip.